Zen-promo Parser update. Parse your list of accounts for a pure target audience in Instagram. We are very pleased to inform you that we have created a new service, which will help you to promote better and more effectively - Zen-promo Parser! 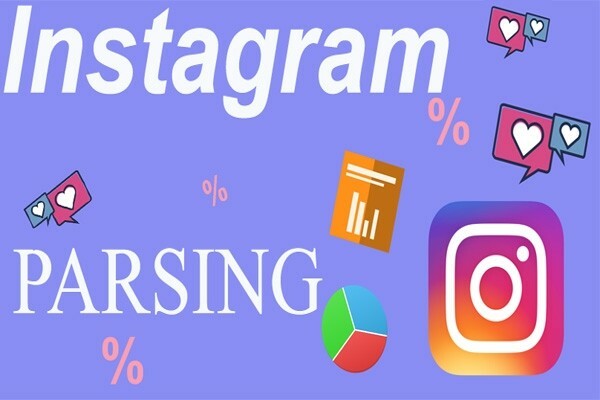 Parser is a new analytical tool for active promotion of Instagram accounts. By means of it, you will be able to gather your target audience in a short time, increase the popularity of your personal or commercial account, and achieve effective promotion among interested users. What is a parser and how to use it? Parsing is a widely used term in programming, which is a sequential analysis of information. The technique allows you to quickly process and copy large amounts of content on various web resources. On its basis, special programs are created - parsers, which analyze the data in an automatic mode and are able to allocate fragments corresponding to the specified parameters. Features of parsing on Instagram. The system was originally used to promote specialized sites and required the involvement of specialists or the availability of certain programming skills. Today, parsing is actively used to promote profiles in popular social networks. A variety of platforms offer users already ready patches. You just need to set the necessary parameters. Zen-promo parser collects, sorts and analyzes accounts for geolocation, hashtags, subscriptions, and subscribers. This option will be equally useful for those who use Instagram as a platform for the development of their own business, and for those for whom social networking is a place for active communication, self-expression, and self-development. The program selects accounts that meet the specified criteria: these can be profiles of show-business stars, city publics, pages of possible competitors, and much more. Attracting potential customers. The program helps you o find real subscribers who will be interested in your products or services. For example, you are the owner of an online store for children's clothing. The system will pick up for you the profiles of young parents on the corresponding hashtags to photos, subscriptions to public pages for moms and dads, similar online stores, etc. Are you the owner of a small beauty salon or pizzeria in one of the districts of the city.? The parser will choose the geo-tags of those people who live or often are near your institution. Gathering information about competitors. Zen-promo parser will collect information for you from brand accounts that successfully work in the same field as you: product cards, customer reviews, etc. As a result, you will be able to adjust your range and price level, make more attractive descriptions of the goods, attract new customers. You spend a lot of time on Instagram, but your account is not as popular as you would like it to be? Zen-promo Parser is a convenient and easy way to find like-minded people, people with whom you can share your achievements, creative plans and just meet in real life. The service will select subscribers for you by gender, age, place of residence, interests. do you want to organize a fan club of your favorite artist? The program will examine the data of subscribers of its official account and other public pages of similar subjects. Create a base of your future customers and filter by the parameters you need yourself! It's easy and fast. You can start collecting by competitors, hashtags or geolocations. Enter hashtags you are interested in and the parser will collect for you users who put such hashtags. Do not be scared if the collection did not begin immediately - the service just needs a little time to analyze the accounts. You can stop working at any time and start filtering or downloading the database. The speed of collecting the database is calculated optimally, the parsing procedure is absolutely safe for accounts. Select the required options and click the "Start filtering" button. At the end of filtering, you can upload the database and use it for your own purposes: perhaps you will collect a list of accounts from which you need to unsubscribe using Zen-promo, or Vice versa - subscribe, post comments or likes, or maybe view, find potential customers and start communicating manually. In order for you to try, we give you the opportunity to use the parser for free for the first time. The number of free checks depends on the size of the list of analyzed accounts. We hope that our tool will help you to gather and process the target audience and make the promotion even more targeted and effective.